Sauce Kid made a post on his Instagram page addressing reports that he was currently in an American jail for Grand Theft Auto. 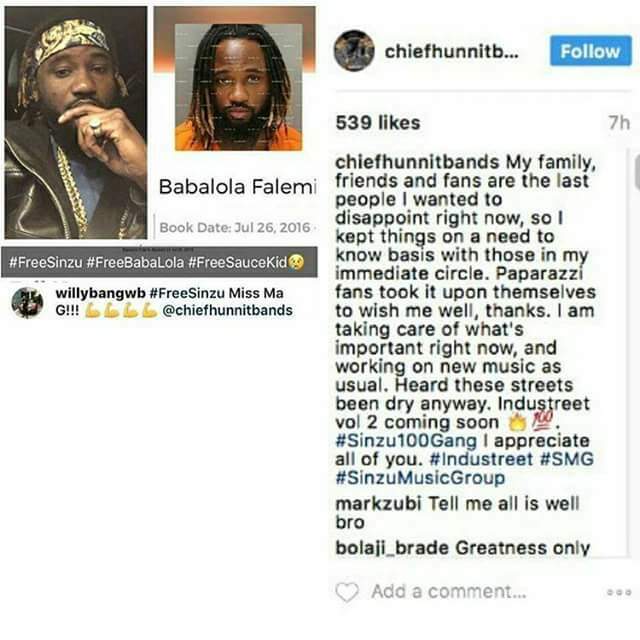 Sauce Kid also said he was working on new music for he fans but he did not debunk news of his imprisonment. 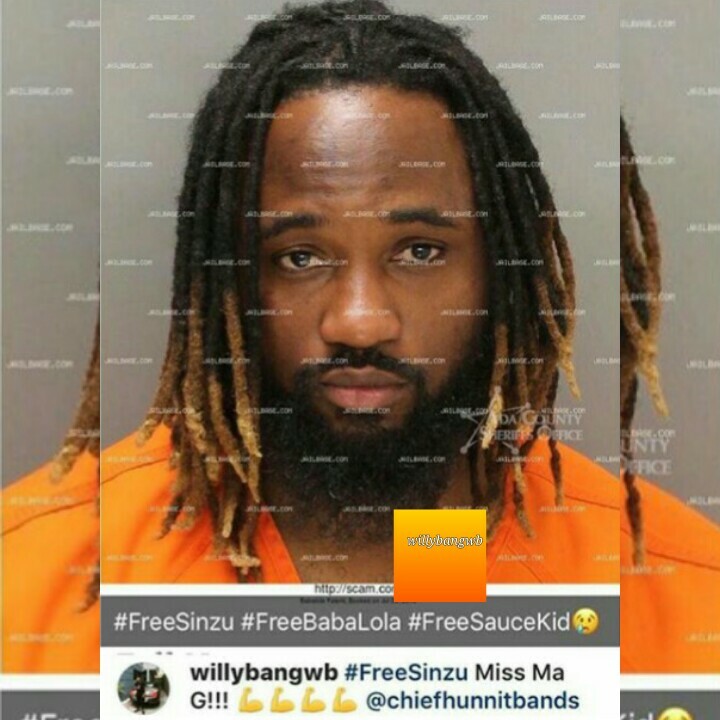 It happened after Nigerian singer, Willybang, had attempted a #FreeSinzu campaign on his Instagram page to free rapper Sauce Kid aka Sinzu who has been in jail in Idaho, USA for Grand theft Auto. Sauce Kid has reportedly been in prison since 26th of July 2016. This is not the rapper’s first time in an American jail. 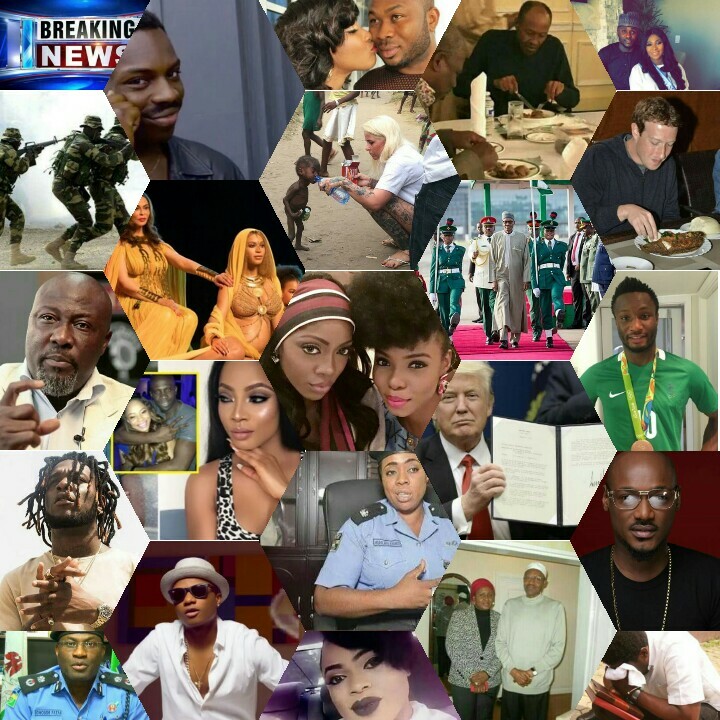 Reports say that Sinzu had previously been jailed for his involvement in cybercrimes.